“Yovo yovo, bonsior, ça va bien, merci!” The little Togolese children would chant their greeting as they waved at me as I entered their village. They were all too delighted to alert their friends and family to the rarity of seeing a pale-faced foreigner such as myself in their land. “Bonjour, Ma Ma!” they would say. “Bonjour!” I would reply and wave to the children and adults alike who would crowd around to see the “Yovo” or “foreigner” who had come to their village. 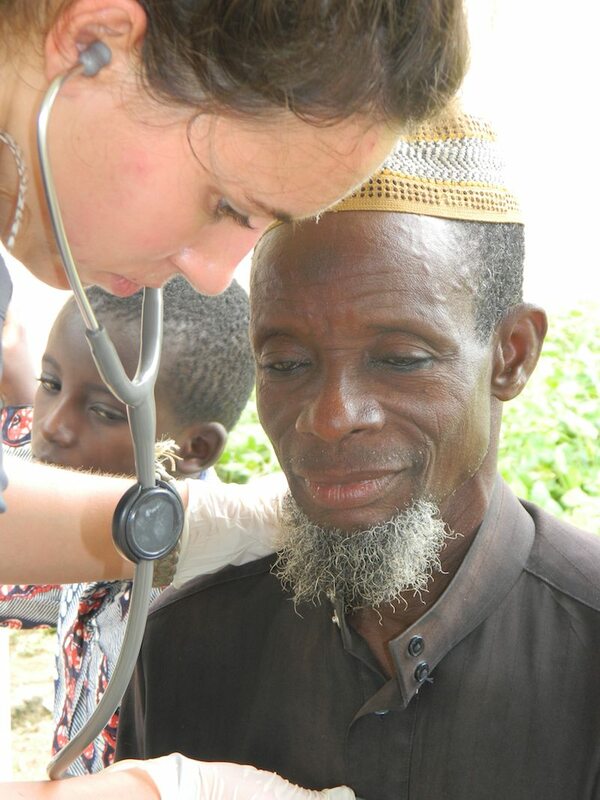 Soon enough, the children would crowd around me, begging me to listen to their heart with my stethoscope, or waiting for the chance to stroke my pale skin. 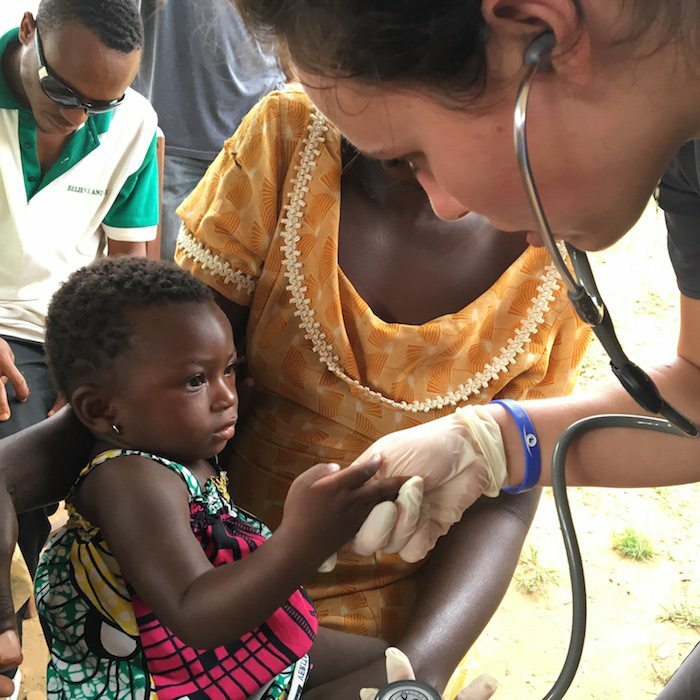 In August, I had the opportunity to serve with Sight.org in Togo, Africa, as a nurse.  Sight.org is a ministry based out of Tyler, Texas, that performs cataract as well as pterygium surgeries for the people of Togo. 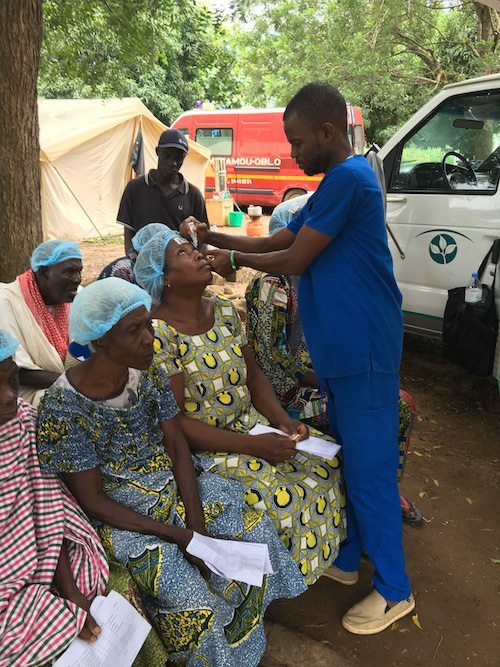 Over 80,000 people in Togo, young and old alike, suffer from blindness that cataracts or pterygium cause due to sun exposure. In a country where over half the population lives on $1.25 a day and running water and air conditioning are fantasies that most only hear about, the idea of receiving a life-changing surgery to correct their blindness, free of cost, is unbelievable. What could possibly provide a clean and sterile environment for performing these surgeries? An ambulance donated by East Texas Medical Center. Seeing the familiar green ambulance parked on the outskirts of a small town in Togo gave me so much pride to work for a hospital such as ETMC. Over the course of three days, I was overwhelmed to help guide 60+ blind patients enter and exit the ambulance to receive their sight again. 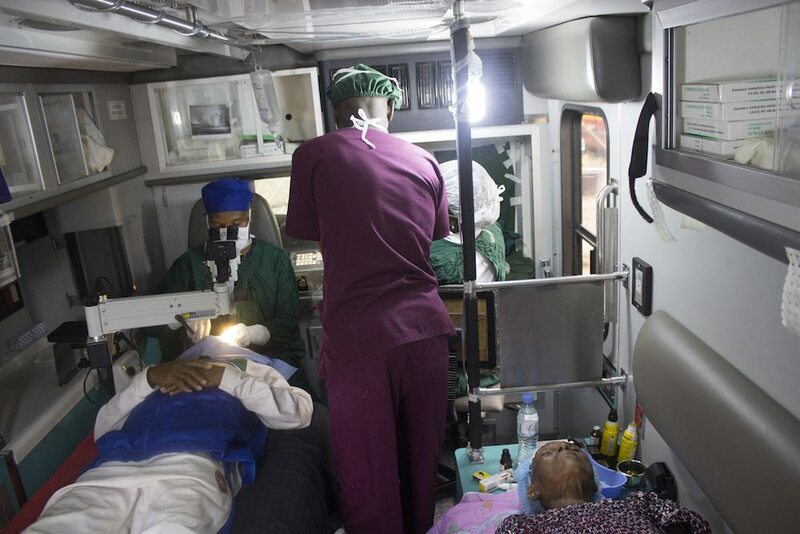 A Togolese eye surgeon, Dr. Nestor Avia, welcomed me in to the ambulance to observe eye surgeries my second day in Togo. 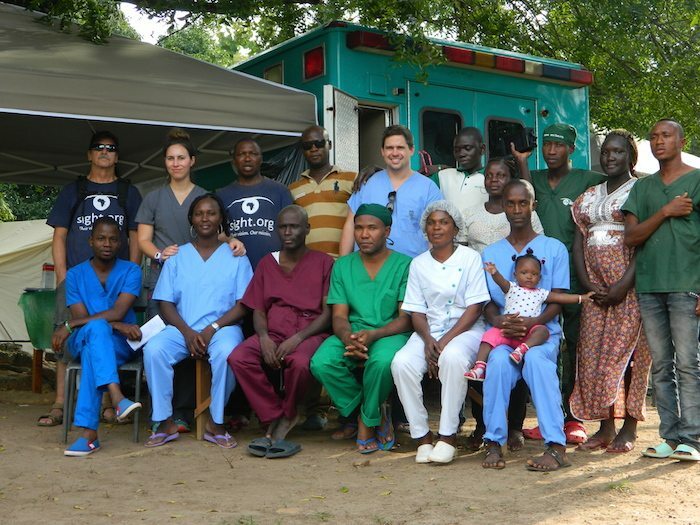 It was not uncommon for Dr. Avia to kneel down beside the stretcher of a patient in order to calm their fears of the surgery looming before them. Tenderly, Dr. Avia would perform the surgery while reassuring the patients, in their own language, that all was going well. While helping in pre-op, I got to meet and talk to the patients via a translator. 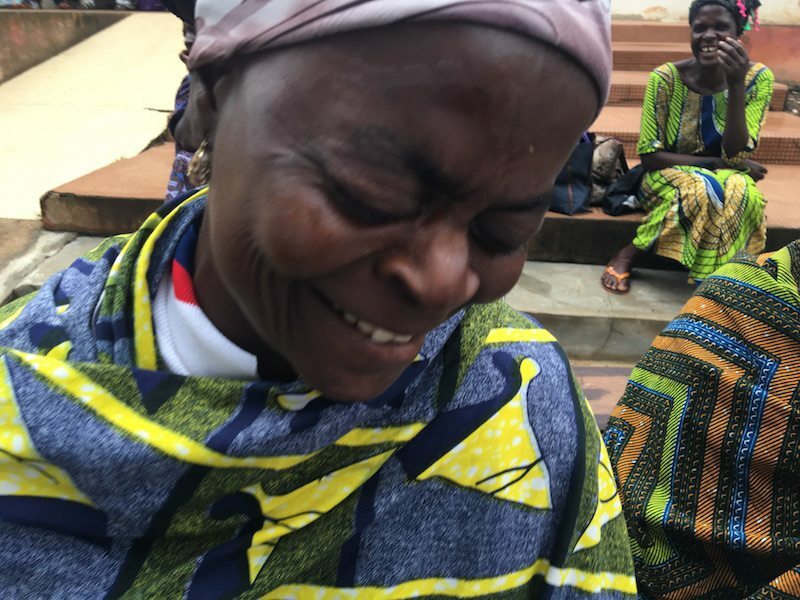 I met Yawa, a 70-year old-woman who said she could not remember how many years it had been since she had last had full sight. All of her family members in her village had died due to sickness. She had lived on her own for six years. Komlan was a 65-year-old man who was looking forward to farming again. He could barely see and walked around with a cane. He said that “farming will be much easier” after the surgery. Masalou had not been able to see for the past seventeen years. The 69-year-old lady told me that she was not afraid of her upcoming surgery. 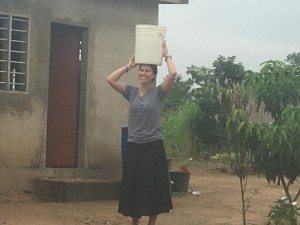 She was ready to be able to cook, bathe, and eat on her own so her family did not have to help her. Not all the patients were elderly, however. 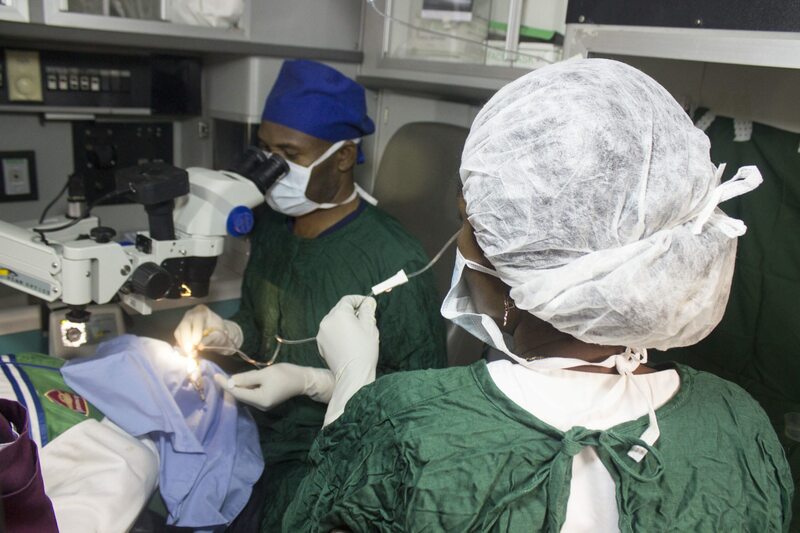 Enyonam was a 35-year-old woman suffering from pterygium. She explained to me how painful it was to endure the discomfort in her eyes during her daily tasks. She said she felt shameful because she did not feel beautiful when people looked at her. 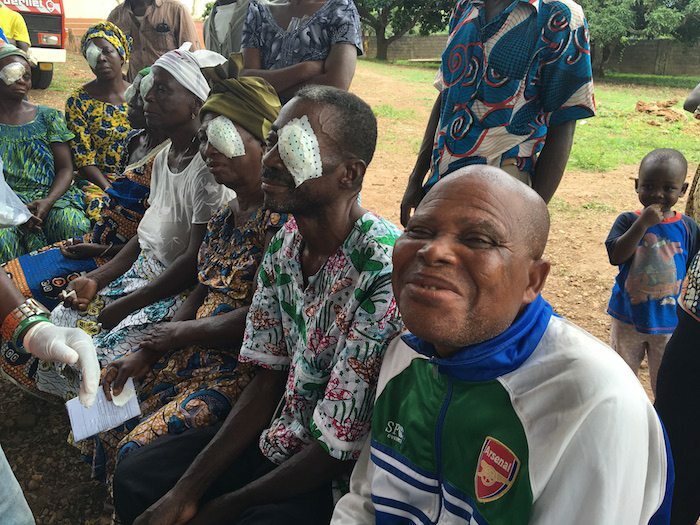 After surgery, the patients wore patches over their eyes until the next day when they returned to have them removed. The patients eagerly waited hours before the appointed post-op time. Upon removal of the eye-patches, patients would blink their eyes in disbelief at having their sight again. I would see many smile for the first time since I had met them. Others wept. One patient exclaimed, “I see a Yovo!” upon seeing me standing before her. Another woman kept whispering, “Merci, Jesus. Merci,” as tears rolled down her face. One man who was a teacher said, “I don’t have to lose my job now!” Often times the patients would dance or throw their cane into bushes to celebrate the gift of sight that they had been given. 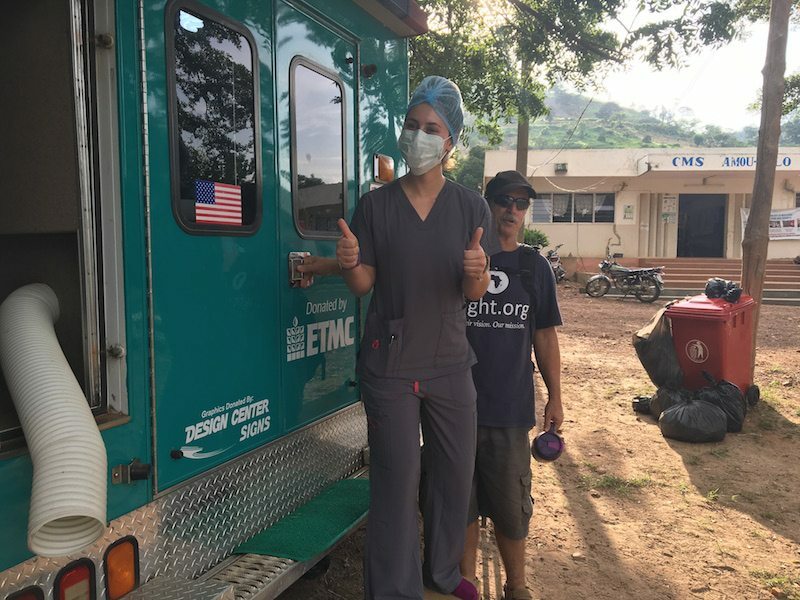 When not helping with surgeries, I was able to travel to villages with the Sight.org team and meet all the medical needs that we could. 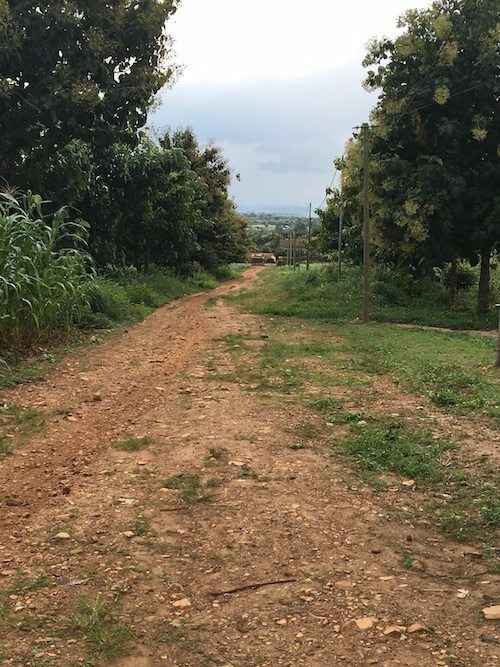 Often times, the villages would be so remote that the only “road” to get there would be a trail not even a foot wide. It was not uncommon for there to be no well for the villagers to drink clean water from. Once a village heard that a nurse was coming to their village, it was certain that I could expect a crowd upon arrival. Many children and adults had malaria and dysentery. 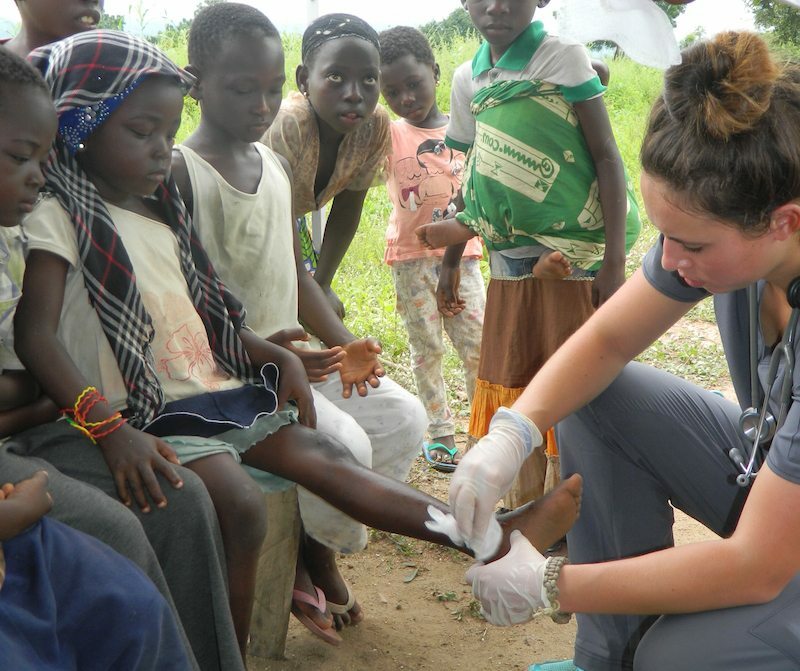 Other villagers would present their infected wounds to me to clean and bandage. One woman came to me with a soiled cloth around her foot. Upon removal, she explained to me that she had burned her whole foot about a month ago when hot oil spilled on it. At one particular village, the villagers informed me that soap was too expensive for them to afford. One child about nine years old crawled around on swollen knees due to one of her legs being deformed since she was two years old. 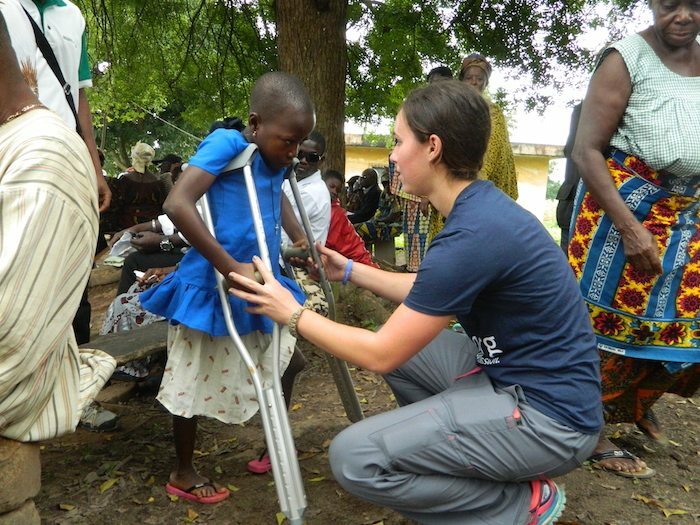 After traveling to a bigger city in Togo, I was able to return to the same village with a $22 pair of crutches for the little girl named Canditt. I taught Canditt how to walk again with crutches. 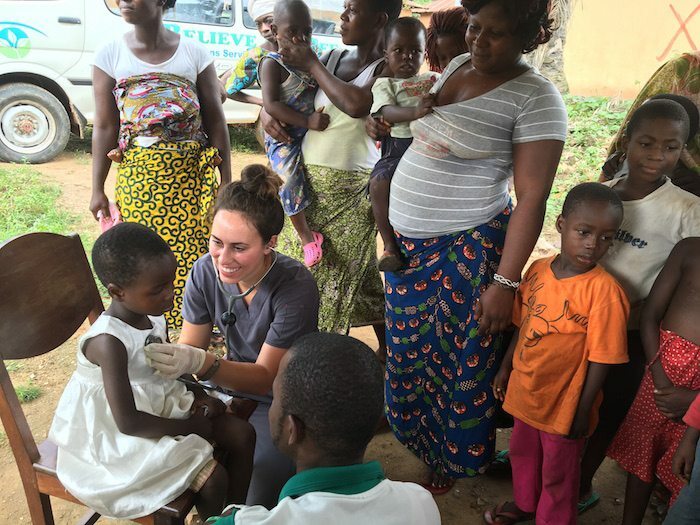 In a country like Togo, it is incredible to see how so little can help so much, like soap, $22 dollars, and a donated ambulance. 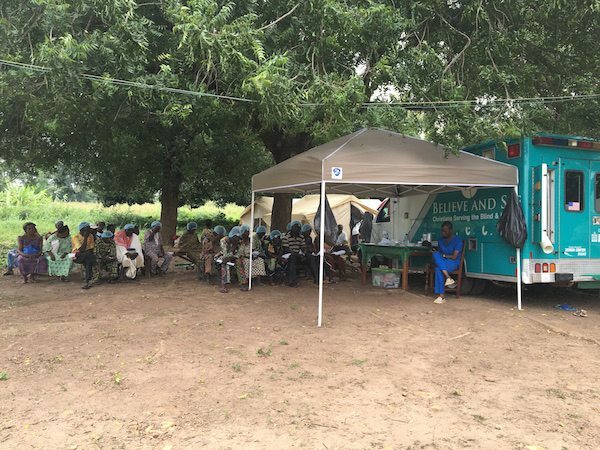 The health needs of the Togolese people are astounding. 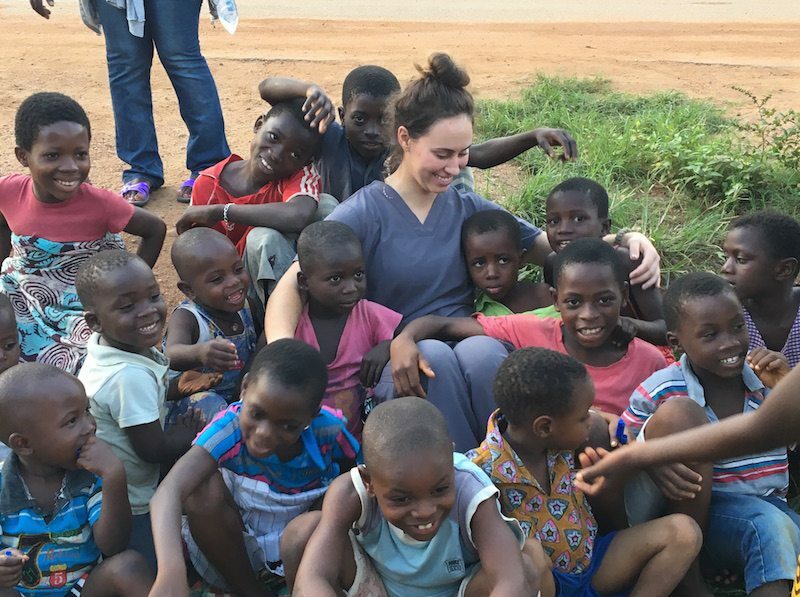 It was a privilege to use the skills that ETMC has cultivated and taught me as a nurse to help others in such an impoverished country. I am grateful that I had the opportunity to serve with this amazing ministry.